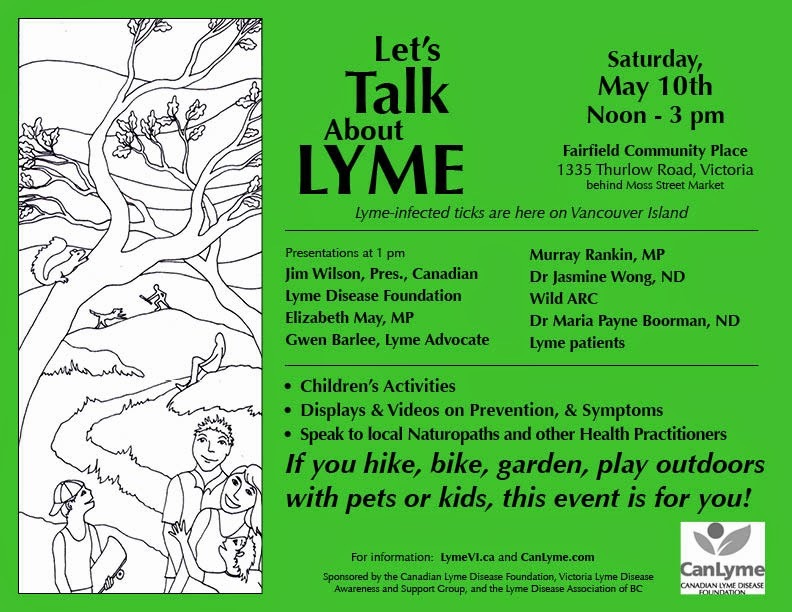 Lyme Rally | Bite Me. This is the speech that I gave at the Lyme Rally at the other day! Of course, cause I couldn’t memorize it *duh* I had to write it out ahead of time and read the speech, which I always hate doing. It feels like…cheating or something. But I think I still managed to speak from the heart. Enjoy! Hello. My name is Nicole Bottles, and I too have Lyme Disease. More than a year ago I was just a typical teenager. In the space of a few short months I was no longer able to walk, remember things, go to school, or live in a way that could be conceived as tolerable, or acceptable. Imagine my dismay, that after seeing eight specialists and being tested for what felt like everything, doctors still had no idea what was wrong with me. Even though my mom brought up Lyme disease often, it was quickly discounted. I was ‘too complicated’ to have Lyme disease. If getting a diagnosis in Canada is hard, it is impossible to get treated. I spent the past year in the United States, getting the drugs and care that I should have by right, been able to obtain here. I wish my case was ‘one-of-a-kind’ and rare. But there are far too many people sick with Lyme Disease now for health agencies and government believe otherwise. I am angry, and you should be too. Lyme disease is no longer just an East Coast problem. It isn’t just in the United States. Ticks don’t wait in long lines with their passports to cross the border. Lyme infected ticks exist in BC and across Canada, and to suggest otherwise is just avoiding a widely known and accepted truth. Lyme infected ticks are no longer just a thing in off-road parks, deep in the forest. They are in your gardens, on your pets, and your city sidewalks. Even on grounds of the Legislature you could find them! So politicians, it is time that you begin to wonder why nothing is being done, and it is time to act. We need your help. In our own country, with our universal health care, why are we being left behind? Forgive me for sounding like a child, but why aren’t you, the medical establishment, doing more? Don’t you care? If I was your child, or niece or sister, would you let me down the way you have let us all down? 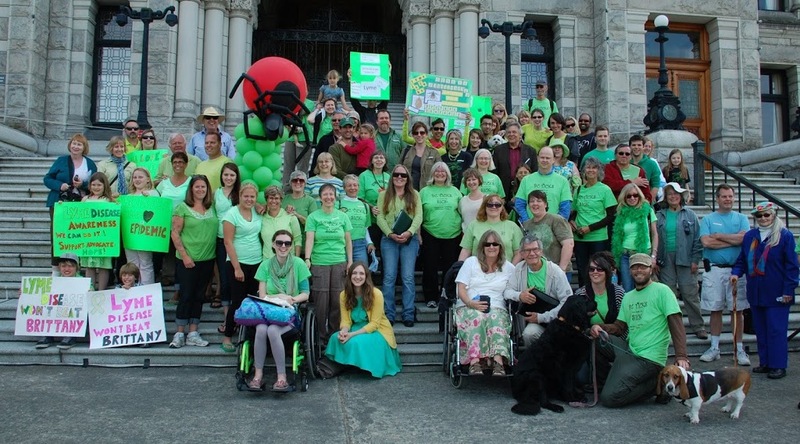 There are thousands of Canadians suffering with Lyme Disease. The ridiculous, ‘old school’ protocol now in place for Lyme disease treatment is a joke. It doesn’t help those who need it most; the people who were not diagnosed. The ignorant, blind-eyed approach that most doctors have is clearly not working. It shouldn’t be this hard to get well. I’m too sick to be fighting, not only the disease, but the bureaucracy to get back to my old life. My request is simple, but the task is much harder. Simply, doctors need to be educated. Patients need to be diagnosed and we need to be treated. Are Canadians ready to ask for what is necessary? Cause I do. I’m feeling it in my bones. To those who still don’t believe that Lyme disease is an epidemic that causes multi-organ damage, I would say ‘bite me’, but, gosh, believe it or not, something already did. We are a group of ill-defined patients, literally, our lives defined by an illness that is as yet to be acknowledged in Canada. We need bridges to health not roadblocks.